An examination of the Conservative government's first five years shows it overspent cabinet-approved ad budgets by $128 million — more than 37 per cent. The Harper government is being transparent with its advertising expenses because cabinet approvals of advertising budgets are posted quarterly, a spokesman for federal Public Works Minister Rona Ambrose said Thursday. But an examination of the Conservative government's first five years in office shows it overspent those cabinet-approved ad budgets by $128 million — more than 37 per cent. Conservatives are under fire for their current, gauzy "economic action plan" media blitz, part of a $16-million campaign that is saturating Canadian airwaves this autumn. NDP finance critic Peggy Nash questioned why taxpayers' dollars are being spent in a time of restraint on a budgetary concept first introduced to Canadians almost four years ago. "The 'economic action plan' is already completed," Nash said. 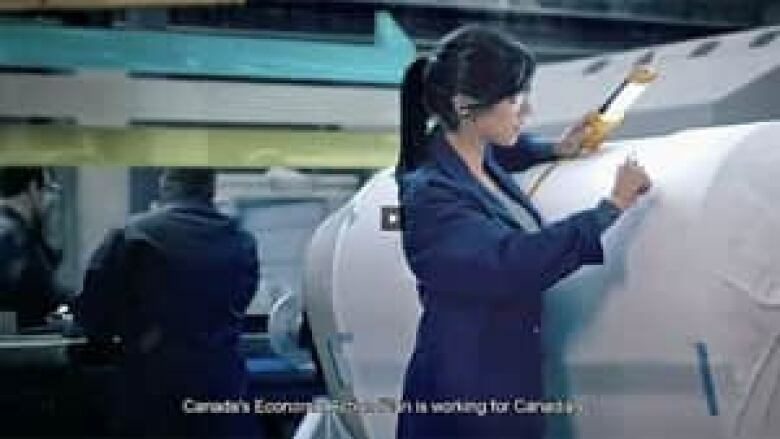 "So we have to wonder why they're advertising now on a program that's already finished — during a budget period that is based on austerity and cutting back programs and services for Canadians." Indeed, the March 2012 budget included a chapter entitled: "The stimulus phase of Canada's Economic Action Plan: A final report to Canadians." 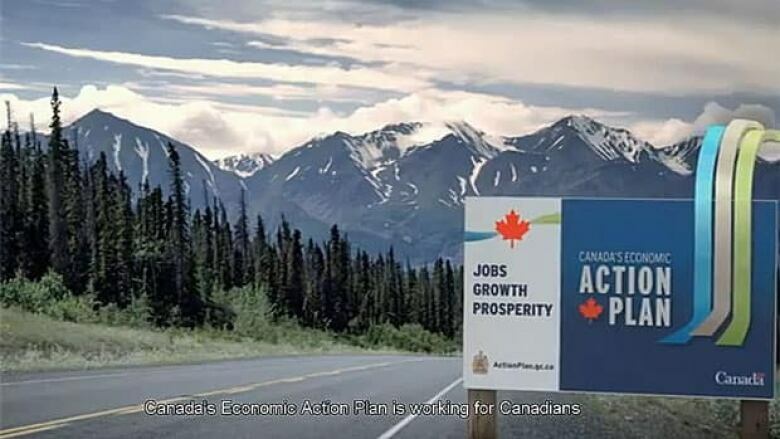 But the massive, taxpayer-funded branding exercise for the "economic action plan" title — first introduced in the recession-fuelled stimulus budget of January 2009 — may have proved too successful for the Conservative government to abandon. In a time of across-the-board budget cuts, the Harper cabinet has approved more than $64 million in ad spending this year, Treasury Board documents show. That's up from just under $53 million approved in the 2011-12 fiscal year — although the actual dollars spent last year won't be available until the annual report on government advertising is released at some future date. "The Government of Canada makes advertising expenses public through quarterly reports which are posted on the Treasury Board Secretariat website," Michael Bolkenius, a spokesman for Ambrose, said in an email Thursday. Indeed, Treasury Board does post quarterly approvals — but comparing them to the true spending totals later revealed in the annual reports makes for interesting reading. In 2010-11, the last full year for which final accounting is available, the Harper cabinet approved $65.4 million in spending, but the government ran up an advertising bill of $83.3 million. A year earlier, at the height of the economic crisis and during an influenza pandemic, the government approved $85.3 million in advertising but spent $136.3 million. In fact, in every single year since the Conservatives took office, the government has exceeded its posted advertising budget by at least 25 per cent — the smallest overshoot being the extra $16.5 million Ottawa spent in 2008-09. That was also the year the Harper government posted its lowest overall ad spending to date, $79.5 million. A note on the Treasury Board web site notes that ad approvals don't always add up to the final spending total. "The cabinet determines where the funds for government advertising will be coming from; and these funds can come from other sources than the amount set aside annually by the Treasury Board for government advertising, such as departmental reference levels," says the note. "As a result, government-wide advertising expenditures are often greater than the total amount reported here." Bolkenius, speaking for the minister, said in his email that: "It is also important to note that the advertising expenses for 2010-2011 were well below the last full recorded year under the former Liberal government." In 2005-06 — a fiscal year truncated by the federal election that brought the Conservatives to power in January 2006 — Ottawa spent $41.3 million on advertising, although cabinet had approved spending of $70.4 million. The last full year of Liberal rule, 2004-05, the government spent $49.5 million on ads, well below the cabinet-approved budget of $58.5 million. And in 2003-04, the Liberal government spent $69.8 million on advertising. Ambrose's spokesman, when asked to clarify what he considered the "last full year" under the Liberals, cited 2002-03. That year, the government spent $111 million on advertising.